But a lot of times for the past weeks I've been sleep deprived and I had to wake up super duper early for a morning wedding. And that's a bit unhealthy for my skin plus the fact that I love caffeine haha. When my skin is in a bad condition, I usually notice my foundation doesn't stick or blend well on my skin. 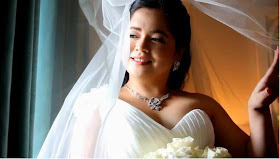 I notice that too on some of my clients who weren't able to sleep well before their big day. 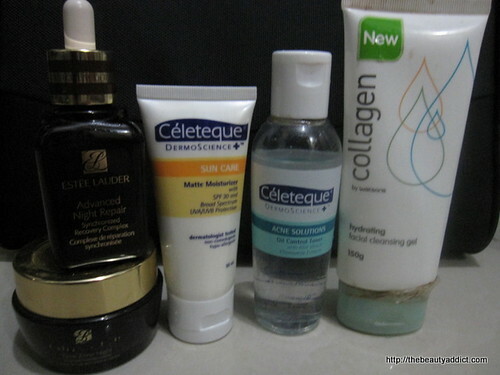 Week 01: I incorporated the Estee Lauder Advanced Night Repair on my usual skin care routine (Watson's Collagen Hydrating Cleansing Gel, Celeteque Dermoscience Acne Solutions Toner, Celeteque Sun Care SPF 30 (morning moisturizer), Estee Lauder Time Zone Night (night moisturizer). On my photo abovem you won't see most of my flaws in this photo as I had my Cinema Secrets Concealer and foundation on. On my first week of using it, the only thing I noticed is that my skin got more hydrated than before. My makeup glides on better even when my schedule got busy. And that's my first report. What do you think? Don't forget to join my Estee Lauder Advanced Night Repair giveaway if you wanna have a chance to try it too. Great list of products... Surely, this will be a good tip for those who are planning to go on a date on this love month.